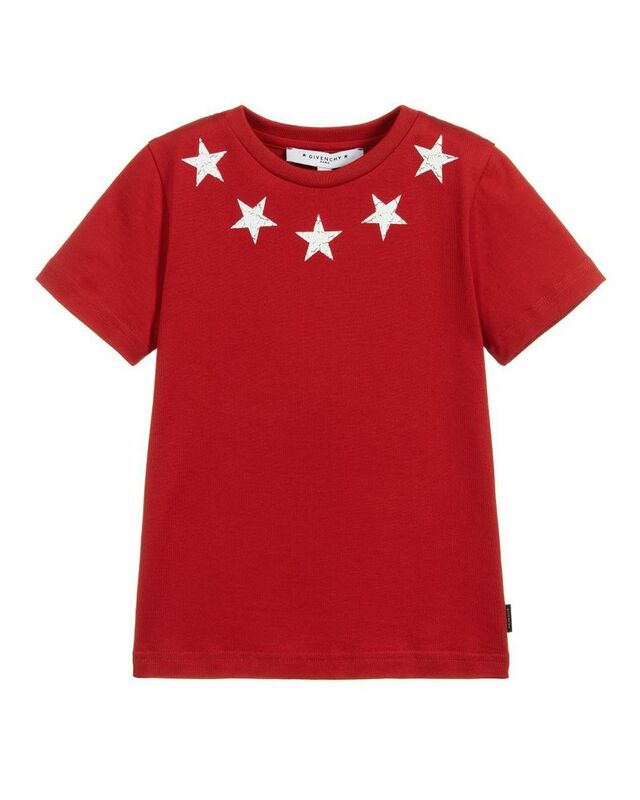 Givenchy soft compact red cotton jersey tee-shirt wiith cracked stars on neckline. 100% Cotton. Imported.